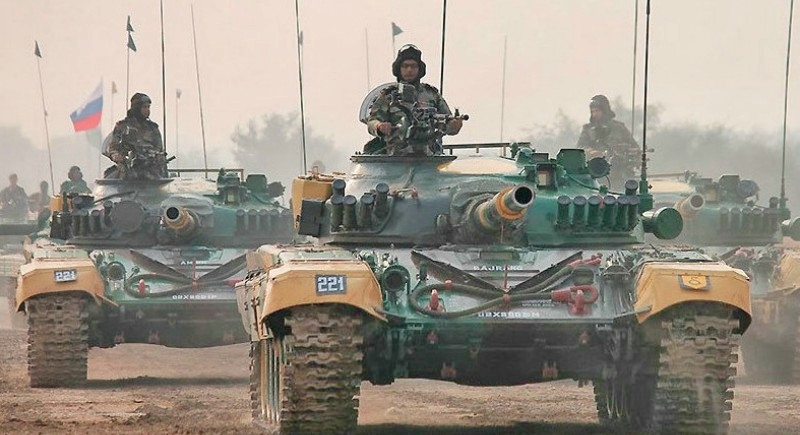 New Delhi, September 26: Giving a major backhand to the defence sector, the Defence Acquisition Council (DAC) rendered approval for the procurement of 1000 engines for fitment in T-72 tanks of the Army under 'Buy and Make' category at an approximate cost of Rs 2300 crore. These engines aim to enhance the mobility, agility, and acceleration of T-72 tanks making them more versatile and effective in the battlefield. Leveling up the transfer of technology, most of these engines will be manufactured by the Ordnance Factories Board (OFB). In an effort to reduce timelines in defence procurements and streamline Defence Procurement Procedures, the DAC, in a meeting on Tuesday, also discussed and approved several amendments to the Defence Procurement Procedure (DPP) -16, the manual governing the defence procurements. The changes include limiting the time period for executing Repeat Order to five years after the date of completion of warranty of final delivery in the previous contract. Repeat Order provisions have also been extended to procurements by other services like the Central Armed Police Force (CAPF) and Border Roads Organisation (BRO). The amendments also include permissions to commence with benchmarking of cost for equipment immediately on receipt of the trial report in the Service headquarter, legislating provisions for Exchange Rate Variations when pursuing procurement with an 'Option Clause', providing clarity on guidelines for easing the provisions for imposition of LD Clause in upgradation or alteration cases, automatic incorporation of applicability of the latest legislation or changes or amendment of any act or law, rules or regulations. The DAC also accorded approval for doing away with Bank Guarantee for Essential Parameters 'B' if the same are trial evaluated during the field evaluations trials. A direction was also given to including the names of Independent Monitors (IMs) in the RFP for defence capital acquisitions.